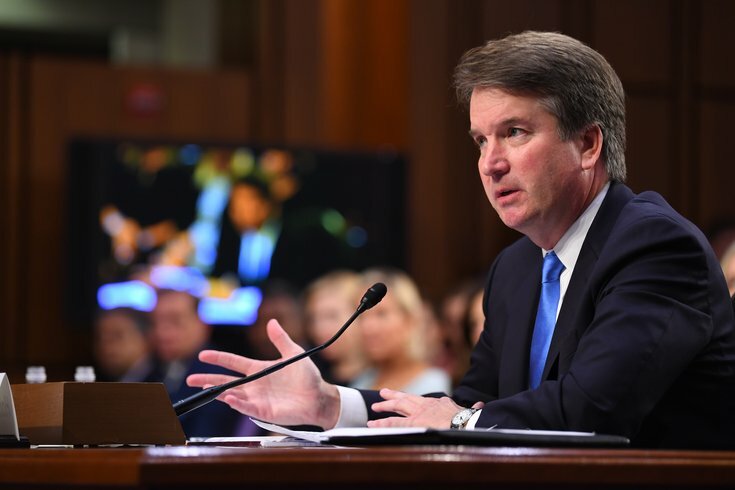 Supreme Court Associate Justice nominee Brett Kavanaugh appears before the Senate Judiciary Committee during his confirmation hearing in Washington, D.C. On Monday in Philly, survivors of sexual assault and supporters rallied outside City Hall as part of a national call to support Christine Blasey Ford and Deborah Ramirez, two women who are accusing Kavanaugh of sexual assault. Survivors of sexual assault and their supporters in Philadelphia are rallying in front of City Hall on Monday afternoon as part of a national call to support the women accusing Supreme Court nominee Brett Kavanaugh of sexual misconduct, Christine Blasey Ford and Deborah Ramirez. The Philly #BelieveSurvivors Solidarity Walkout & Speakout is part of a national event organized by Philadelphian Tarana Burke, the founder of the #MeToo movement. A statement from Burke has been surfacing to organize the event: "We believe Dr. Blasey Ford. We believe survivors. Join us for a national walkout in solidarity w/ survivors of sexual violence on Mon., Sept. 24 @ 1PM EST by wearing black and posting a message to say #BelieveSurvivors #MeToomvmt"
I want to continuously scream this from the rooftops: THIS IS A SURVIVORS MOVEMENT!!! We will not let Dr. Blasey Ford’s experiences be invalidated by partisan nonsense. We are survivors not just bc we lived through what happened but bc we are in a constant state of SURVIVAL! Philly's gathering began around 1 p.m. at Dilworth Park. Planned speakers include Emily Woods, Tonya Bah, Blessing Osazuwa, Gwen Snyder, and Nina Ahmad.